It will take minimum one day to cover various tourist places at Delhi. 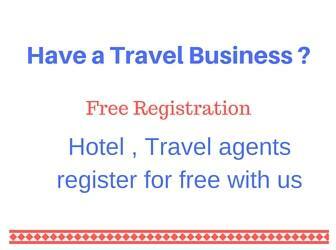 But this does not include trip to Taj Mahal at Agra or Jaipur. This is a fort with historical importance. Inside the fort there are museums, palaces and art works to see. From here Prime Minister of India host the national flag every year on 15th August on the Independence day. 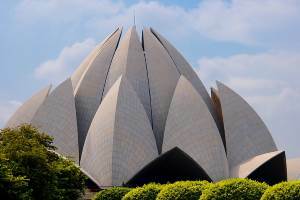 Bahai worship center is constructed in the shape of a Lotus flower is a must see and enjoy the peaceful atmosphere here. 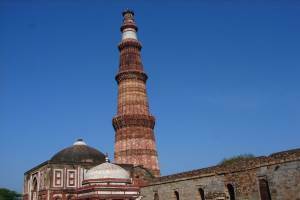 A tall Minar of 72.5 meter height was constructed in 1199 AD. 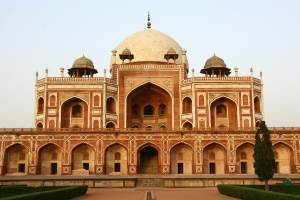 Constructed in the memory of Moghul emperor Humayun. Delhi started from here. This place has several old buildings and a lake with boating facility. Situated on the banks of river Yamuna, Rajghat is the place where the mortal remains of Mahatma Gandhi, (Father of the Indian nation) lies. It was at this spot that the last rights of Gandhi were performed on the evening of 31st January 1948. Gandhi's last words 'Hey Ram' (Oh, God) is inscribed on the platform on which his mortal remains lay. People from all walks of life come here to pay homage to the Mahatma. Every Friday (the day of his death), a special prayer is being held. 4:00PM - Hindi and 5:00 PM - English. Open for public on all days except Monday. Note: Please remove your footwear before entering the premises. 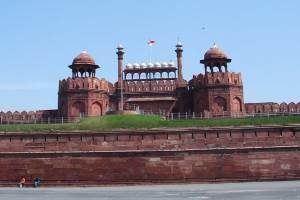 (Also called as Purana Quila) It is believed that Emperor Humayun laid its foundation stone in 1530. It is an incomplete structure as Afghan hero Sher Shah Suri defeated him in 1541. Located originally on the banks of river Yamuna, the fort walls spans a perimeter of 2 kilometers. Close to the Old Fort is a lake with boating facility for the visitors. Adding to the beauty of the fort are the green plush lawns. It is another ideal location in the city to spend an evening in the peaceful nature. The zoological park of Delhi is adjacent to the Old Fort. Another major attraction in the Old Fort is the Sound and Light show telling the history of Delhi. Chandni Chowk (Moonlit Square) is one of the best-known and busiest market places in India. Congested yet colourful, this market is located in the Old Delhi overlooking the Red Fort. This has been a trading center right from the Mughal era. This market was built in 1650AD when the famous Mughal emperor Shah Jahan shifted his capital from Agra to Delhi. This is believed to have been designed by Jahanara Begum, Shah Jahan's daughter. A thrilling ride on a cycle rickshaw (a three-wheeled peddled-cycle) is a must while visiting this market. Jantar Mantar is an astronomical observatory built by Maharaja Sawai Jai Singh in 1724. 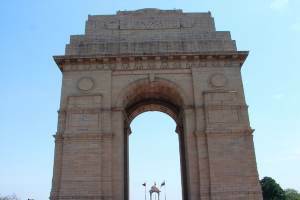 This structure is located in the heart of the city very close to Connaught Place, a commercial hub of New Delhi. This observatory was used by the Mughals to observe the movement of sun, moon and planets, to calculate the solar and lunar calendars with an astonishing degree of accuracy. This also showcases the astronomical advancement of ancient India. Open for public daily from 9.00am - 7.00pm. Jama Masjid is considered as the largest and most beautiful mosque in India. Built by Shah Jahan in the year 1656 AD, the mosque is located close to the Red Fort. 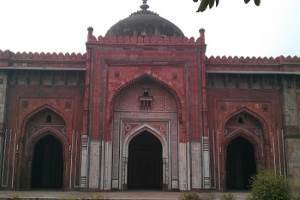 Jama Masjid is also known by the name Masjid-I-Jahanuma (Mosque commanding view of the world). It can accommodate 25,000 devotees.